b-line. Excellence for your talk show. b-line is a powerful multiline talk show system which offers worldwide connectivity for POTS and VoIP. With the b-line Digital Hybrid and Phone System you are able to integrate all telco and control lines over a single LAN interface. Choose between b-line XT and b-line bold according to the number of lines you need. As a perfect screener software, the Talkmaster® Software package is already integrated in both versions. Due to its special digital echo cancellation (up to 100ms) for tricky VoIP and cellular calls as well as adaptive function, b-line reduces the feedback possibility in open-speaker applications. With the help of an expander, caller signal noise is lowered. The perfectly balanced AGC delivers smooth consistent caller level. The result is is the sound you need for your calls..
To fit any international telco line standard, b-line comes plug’n’play ready. Pre Talk/Hold/On Air/R/Drop are available for each line as well as full support for conference calls. POTS/ISDN connectivity comes as standard. An Ethernet hub provides you with an interface for Talkmaster sites and AoIP. VoIP is available as an optional extension. Audio interfaces are analog (balanced studio level) and AES3 on XLR. A/D is selectable in the system setup. b-line XT. Connects up to two callers. 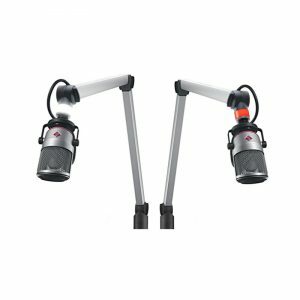 As a powerful dual-line talk-show system b-line XT supports up to two phone lines. 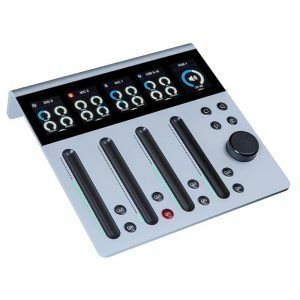 It offers digital and analog audio lines (2x analog + 1x AES3) guaranteeing for flexible audio integration with your studio console. 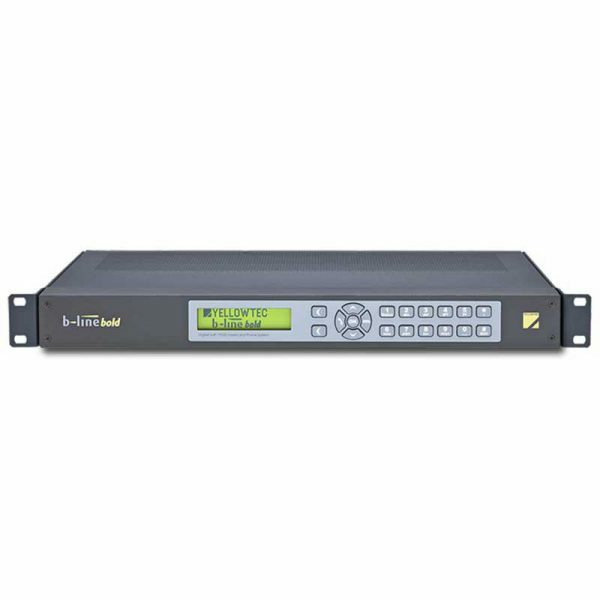 b-line XT is equipped with an Ethernet port for AoIP and networking with screening PCs. In addition, you get GPIOs for easy integration with external equipment (4xGPI/4xGPO as TTL, 2xGPO on programmable relays). b-line XT comes with 2 handset/headset connectors (RJ11) for standard analog handsets or headsets, 2 standard analog telephone connectors (RJ12) and 2x RS232 interfaces to connect two keypads. Audio interfaces are analog (balanced studio level) and AES3 on XLR. A/D is selectable in system setup. For even more callers: b-line XT². If you’re in need to manage four callers, just get a second b-line XT and match all signals in your talkshow. The b-line XT 19” Dual Rack Mounting Kit provides the perfect way to mount two b-line XT units right next to each other. Use the 19” metal rack to easily integrate two units. Take your talk to the next level. b-line bold. A feast for the ears. With b-line bold talk shows or on air competitions with multiple callers no longer have to suffer from different line signal qualities. Just connect it and you don’t have to worry about the different qualities of your incoming calls anymore. b-line bold supports up to 6 phone lines. 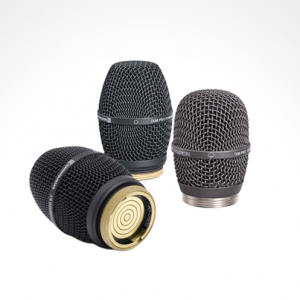 Its perfectly balanced AGC delivers smooth consistent caller level. Lowering signal noise, it will be a pleasure to listen to you talking. Go for it. Digital and analog audio lines (2x analog via XLR + 2x AES3 via D-type) guarantee for flexible audio integration with your studio console. In addition, you get GPIOs for easy integration with external equipment (4xGPI/4xGPO as TTL, 2xGPO on programmable relays). b-line bold is equipped with an Ethernet port for AoIP and networking with screening PCs. In addition, you get GPIOs for easy integration with external equipment (4xGPI/4xGPO as TTL, 2xGPO on programmable relays). b-line bold comes with 2 handset/headset connectors (RJ11) for standard analog handsets or headsets, 2 standard analog telephone connectors (RJ12) and 2x RS232 interfaces to connect two keypads. Tangible measures. With the help of b-line Keypads. 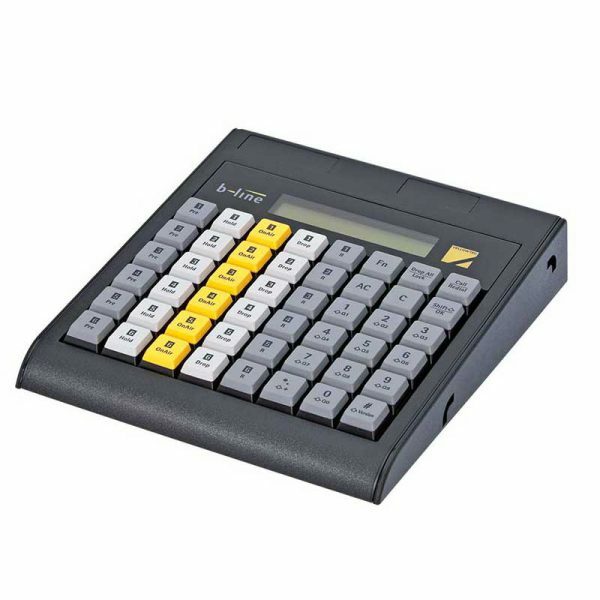 For all those who favor tangible keys over a screener software, we offer the ultimate solution: b-line Keypads. We designed the b-line Keypads to be completely intuitive, with control over your incoming calls, the ability to pre-talk and transfer calls to air. Two versions of controls are available: One for b-line XT, one for b-line bold. Every b-line unit is equipped with ports to connect two external keypads. With the help of the b-line Talkmaster® Software it is easier than you imagine. The screener software for your talk show in integrated in both b-line versions. It gives you full control of the b-line feature set. Optimized for touchscreens, large displayed keyboard fields with distinct functions make operation both intuitive and reliable. Whenever you run a competition, b-line’s integrated DTMF analyzer ensures that callers who dial the correct code first will be highlighted within the Talkmaster Software®. Its phonebook function delivers automatic DBMX caller identification. Talkmaster® data can be stored in a database including blacklisting.Connecting over Ethernet via LAN interface, the software can even accommodate setups with as many as three PCs. b-line. The Talk Show System. 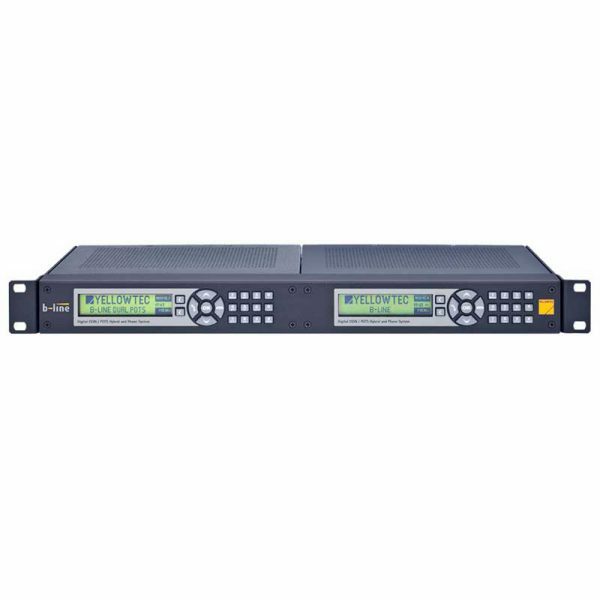 The two digital b-line hybrids with presets for international telco line adaption enable you to integrate all telco and control lines over one single LAN interface. Choose between b-line XT and the b-line bold according to the number of lines you need. Software upgrades equip you with additional features like VoIP, HD Voice or PreTalk.